Weightlifting shoes are unlike most shoes you’ll invest in throughout your lifetime. These shoes have a very specific purpose and construction based on the activities you’re going to be wearing them for. Over the last decade, multiple companies now offer weightlifting shoes, so finding the right pair of lifting shoes has gotten tougher and more nuanced than ever. If you have flat feet, then it can be even harder figuring out which weightlifting shoe would be best for you. Multiple weightlifting shoe models are designed wider than your standard running shoe to support toe splay in exercises (spread of toes to grip the floor), which is also a construction feature that can be beneficial for those with flat feet. While this wider construction is often welcomed, it may also hinder the performance of someone with flat feet, as this wider base may not include enough arch support. 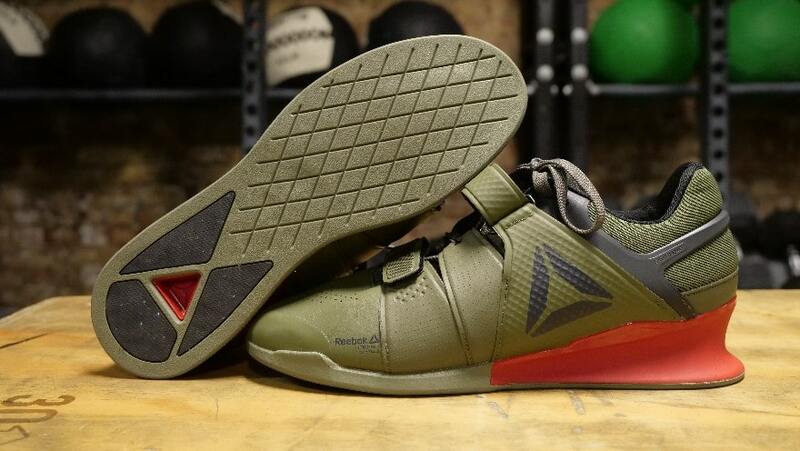 To help you weed through the field of weightlifting shoes, we built out a list of the best weightlifting shoes for flat feet. Before diving into the weightlifting shoes below, it’s probably a good idea to start with understanding what a flat feet are. Obviously, at the root of their definition, flat feet are feet with limited to no arch, but it’s slightly more complicated than that. When it comes to flat feet, no one definition matches every type of foot and more than likely, if you have clinically diagnosed flat feet, then you’re very well aware of it. And for those with a diagnosis, then the list below should be taken a step further with your consideration, especially if you experience any pain or discomfort throughout the body due to your feet. In this case, it’s probably best to consult a specialist for a game plan. In short, flat feet or very low arches can cause the foot to go into over pronation, which can support things like knee valgus (knees caving inward). A study from the journal Arthritis Care & Research suggested there was a relationship between flat feet and knee pain and cartilage damage in an older demographic (1). How can flat feet cause knee pain? 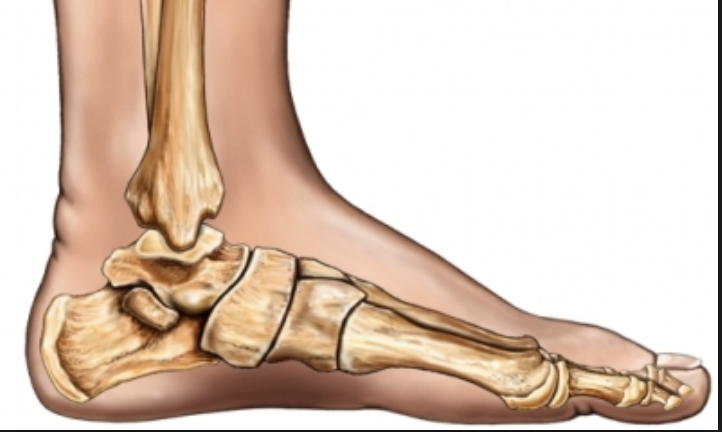 The lack of arch, or collapsed medial foot can cause the legs to collapse inwards, which can then lead to a plethora of problems moving up the body. The degree of potential discomfort for athletes with little to no arch will be a case-by-case basis, as everyone’s body is different. Now, this may not always be the case for younger athletes, but with excessive stress from exercise and what we know about knee valgus during lifting it’s a topic worth considering when looking at shoes. Author’s Note: This article is not intended to act as a clinical diagnosis for flat feet, but to simply highlight weightlifting shoe options that may be a good fit for those who have little to no arches. If you are experiencing pain or think you may have a condition impact your foot health, please see a medical professional. When creating the list below, there were multiple factors taken into consideration to help guide the rationale for our picks. We looked at shoes that have three things: Arch support, wider toe box, and wider full foot construction. Since weightlifting shoes are constructed with an elevated heel they a unique feeling compared to your conventional running shoes. If you’ve never worn a weightlifting shoe the elevated heel feels similar to what a dress shoe feels like, but slightly higher and harder. Arch support isn’t always noticeable in weightlifting shoes, yet there are some models that offer additional support. Why is this relevant for athletes who have lower or flat arches? A study from 2008 in the Journal of Applied Nursing Research suggested that arch support provided benefit for the lower extremities by reducing pain and improving balance (2). The study was performed on older individuals, but it’s worth noting the improvement in balance. Since lack of arch can cause over pronation, extra support can be beneficial for lifting. A wide toe box in a weightlifting shoe will assist with full toe splay, aka the act of spreading the toes and gripping the floor under weight. For athletes with flatter feet it can feel uncomfortable to achieve toe splay with a narrow build, which can cause a decrease in performance and lack of balance. For this reason, we explored weightlifting shoe options that employ a wider toe box construction on purpose. Outside of the wider toe box, a wider shoe construction is equally important for those with low arches. A slightly wider mid-foot can assist with feeling secure when gripping the floor. Some weightlifting shoes are constructed with a wider base for athletes who have wider feet, which often fits synonymously with those who have low or no arches, as the foot tends to be more spread when standing, moving, and lifting. Below, we’ve included three weightlifting shoes that could fit the needs of those with flat feet. Every pick below has made it on our list for one or two very specific reasons that make them slightly different than others we’ve tried. In fact, ignore the number listings, as there’s really no best choice for flat feet, as your needs will be individual and best is individual in this scenario. The Reebok Legacy Lifters made our number one pick for two defining reasons, along with a couple supporting construction features. First, the shoe is designed with wider footed athletes in mind, so it should be fairly comfortable for those with low or no arch. Second, this model offers a decent amount of arch support and doesn’t feel as those it’s completely flat even with the effective heel height. Wider Construction: This shoe’s full boot fits wider than other models on the market, which makes it a great option for those with wide and flat feet. Moderate Arch Support: Unlike some models, you can physically feel the medial arch support used in this model, which provides a decent amount of support. The Adidas Powerlift 3.1’s fit is interesting. It is constructed with a slightly wider feel, and with a wider and relaxed toe box. If you find that shoes with a more relaxed construction tend to fair better for your feet, then I think this model will be a good fit for you. It somewhat lacks in arch support, but if a wide toe box is your concern, then this is good fit. Relaxed Toe Box: This model has a wider toe box and relaxed material, which provides ease of splay and comfort. Wider Build On Toe Bases: In addition to the toe box, this model’s construction is also pretty wide at the base of the toe and mid-foot. The final shoe on our list if the Rogue Do-Win Weightlifting Shoe, which is another model that’s designed to be wider. This weightlifting shoe has been updated multiple times based on customer feedback and contains a purposely wide construction. In addition to the wider fit, the toe box is designed to be wider as well, which hits two points on our list. Wide Construction: In Rogue Fitness’ words, “Do-Wins are also noted for their wide profile—giving athletes with wider feet greater comfort and stability,” if wide is your goal, then this is a good fit. Decent Arch Support: On top of the wider construction these shoes provide a decent amount of support for the arch, which can help with over pronation. The Adidas Adipower has a narrower fit through the mid-foot, but offers a wide toe box and the Adidas’ TORSION® System, which is a construction feature that supports the mid-foot from collapsing. If you need a weightlifting shoe with arch support for flat feet, then this will be a great choice, but keep in mind the mid-foot is slightly narrower than the above options. If you have flat feet what’s most important when finding your ideal weightlifting shoe is which construction needs you weigh the heaviest. Since flat feet come in all shapes and forms, then it’s imperative to do research before investing because these are shoes will be used to create stability and support weight. Is this list an end all be all of options on the market? No, but it’s a great composition of awesome options to fit the flat feet bill.